A couple of weeks ago, Google pushed out a new and major algorithm update for local search (which industry’s leading resource “Search Engine Land” called the Google “Pigeon update“). 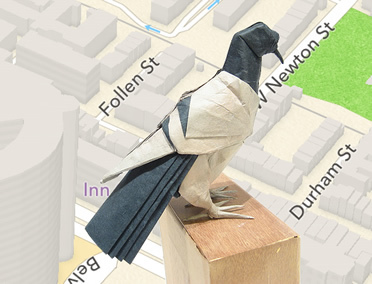 There aren’t many details disclosed about the so-called Pigeon yet by Google, but webmasters have been reporting considerable changes in their local rankings over the past few days. So, what do we know about the Google Pigeon Update? Google confirmed that the update started to roll out on July 24 for US English results, and it’s not yet known when the update would roll out more widely in other countries and languages. The aim of the update is to provide a more useful, relevant and accurate local search results. And unlike Penguin and Panda updates, this is not a penalty-based update (aimed at cleaning the SERPs from low-quality content), but a core change to the local search ranking algorithm. Now, to give you a better idea of the update, we’ve tried to outline all the changes going on (both those claimed by Google and noticed by webmasters). One of the key changes seen after the update is a drastically lower number of queries that now include a local listing pack on their SERPs. In some cases, we’ve even noticed just 2-3 sites in the local pack. For example, take a look at the below screenshot. According to SERP feature graph by MOZ Cast, this number falls from 12.1% of queries on July 23rd to only 3.3% on July 27th. 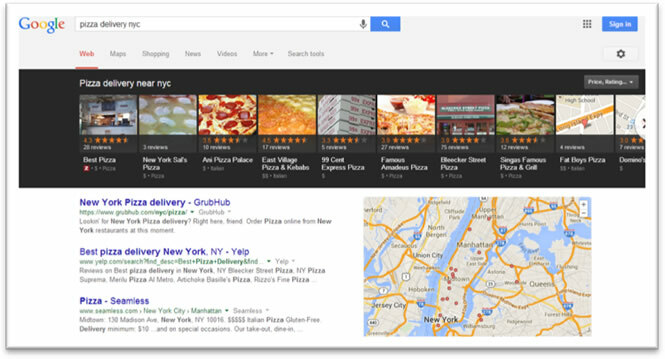 The new local search algorithm is said to be more tied with the traditional Web search ranking signals. Simply speaking, this may mean that local rankings will now be more determined by domain authority, backlinks and all kinds of other SEO rankings factors. According to the first post-update researches, Yelp and other local directory sites have seen a considerable boost in rankings. 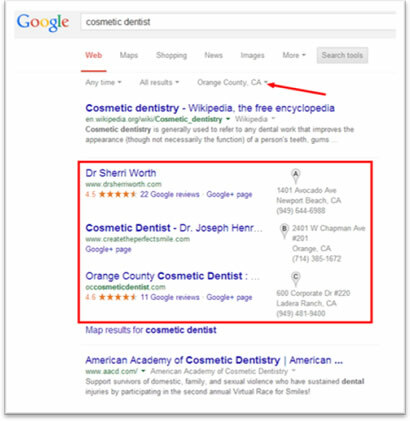 For some queries, the entire SERP is built from well-known local directories only. Even if less of your potential clients may now be able to find your website, many more of them can find you via local directory sites. This makes it crucial to build a solid business presence on leading local directories in your industry. #4) Local carousel remains a way to gain extra exposure. Carousel results put a heavy emphasis on your listing’s image and rating, while showing all options side-by-side. So make sure to put a nice, high-quality and attractive photo in your Google+ business profile and encourage your customers to review your business. Here are a few more “general” recommendations and best practices for local rankings improvement. Individual Google+ Local page for your business. Proper category for your Google+ Local page. Local area code on Google+ Local page. NAP on your website matching NAP on your Google+ Local page. NAP consistency in all your business listings. Large number of positive customer reviews on Google+ Local page and on third-party sources. City or state included into your website’s title tags.